The Nebraska Innovation Campus Greenhouse Innovation Center is 45,000 square feet of greenhouse and headhouse space. 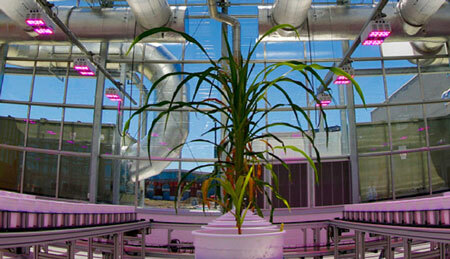 The facility features state-of-the-art computer environmental controls, a LemnaTec High-Throughput Plant Phenotyping system, and 22 foot eve heights to allow for optimal air circulation. The greenhouses are heated and cooled with sustainable energy. 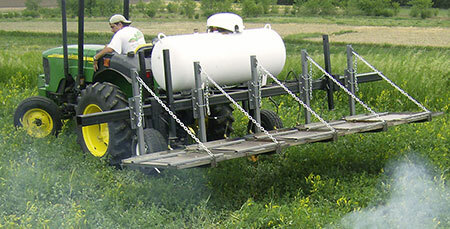 Tailored greenhouse services are available. 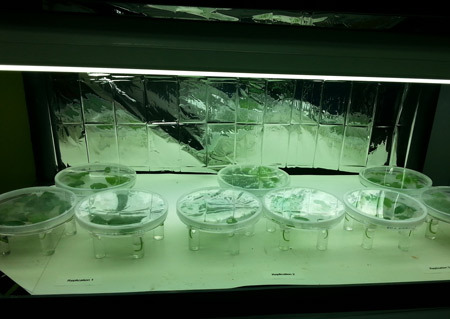 Our research in crops is incredibly extensive and diverse with work on plant breeding and genetics, drought responses, weed management, and work on sustainable food production in Ethiopia. Farming systems research includes aspects of organic farming from transitioning to organic production, soil fertility using organic methods, organic pest management with a whole system approach and unique marketing strategies for organic products. Mulch cropping research involves crimper use or triticale to provide mulch in fields. 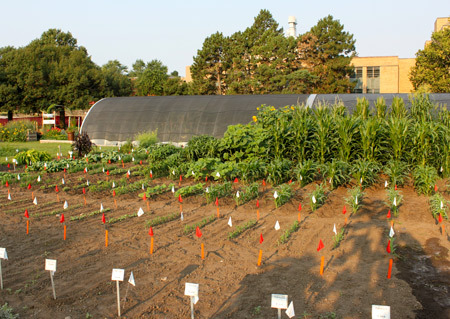 Breeding for organic systems is another area of research provided by faculty. Our research in horticulture specialty crops includes agricultural practices for vegetables and flowers, controlled environments with both low and high tunnels and greenhouses, and growing winter medicinal and culinary herbs, and strawberries. 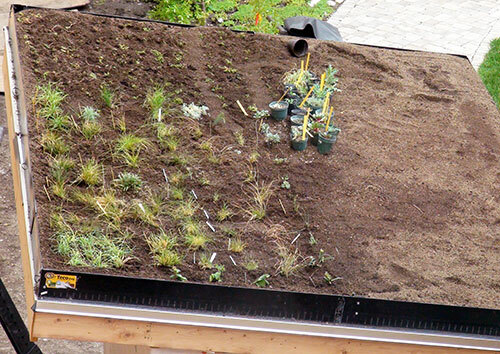 Research on green roofs includes aesthetics in design, construction and management of roofs and walls, plants, and stormwater. Our viticulture program strives to advance the knowledge, theory and application of grape and wine production. Our landscape research on green roofs includes aesthetics in design, construction and management of roofs and walls, plants, and stormwater. 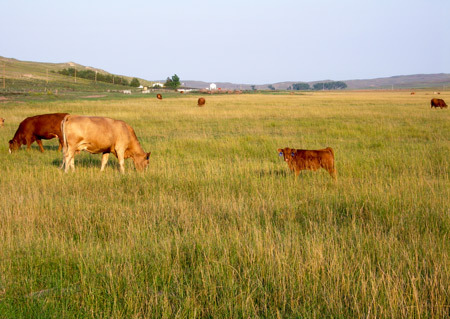 Our research in range, pasture, and forages includes mob grazing impacts, conservation and utilization of rangeland and forage resources, understanding how contrasting nutrient return patterns influence the nature and fate of the nutrient pulse at both micro and macro scales in rangelands, and how fire, climatic variability, and anthropogenic change drive state transitions in rangelands. 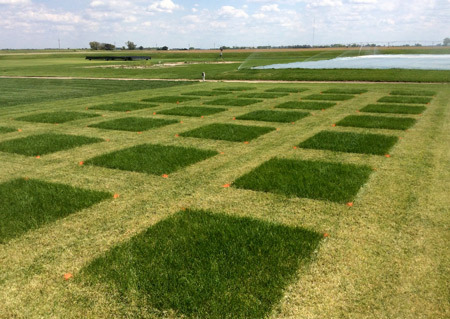 Our turfgrass science research strives to maintain high quality turfgrass while reducing water and other inputs with the goal to provide pertinent research based information to turfgrass managers throughout the year and address agronomic issues as they come up across Nebraska, the Great Plains region, and the country.